Established in 1856 at Norwich University in Norwich, Vermon Theta Chi Fraternity remains to be one of the large international college fraternities. Today, Theta Chi Fraternity counts over 175,000 initiated members. About 6,700 undergraduates of Theta Chi Fraternity study all over North America at the moment. 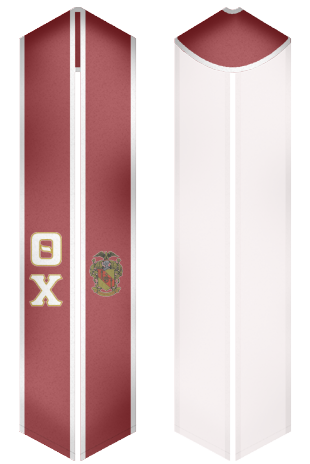 Our online stores offer a wide choice of custom stoles and sashes, which are especially designed for Theta Chi Fraternity. So, you can always buy a beautiful stole for your graduation ceremony at the best price on your website. 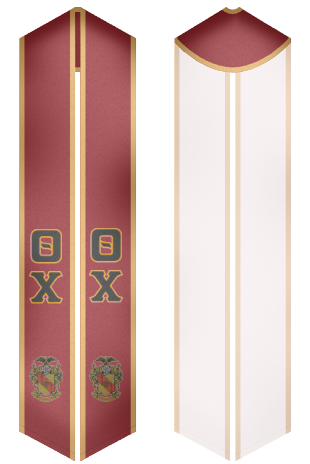 Our Theta Chi Fraternity sashes will perfectly fit graduation event of any type. Happy shopping!